Peter De Savary, very possibly the Richard Branson of the hospitality industry, chose the New York Yacht Club where he has been a member, as the setting to introduce his newest creation: Vanderbilt Hall in Newport RI. The setting was perfection because of the yacht club’s own Gilded Age heritage, the opulence of the room, and its link to the Vanderbilts, among America’s wealthiest families, who were avid yachtsmen. Vanderbilt Hall was built as a mansion home in 1909 by Alfred Vanderbilt, the great-grandson of Cornelius, who built a fortune in shipping and railroads and made his family one of the wealthiest in the nation and the world. 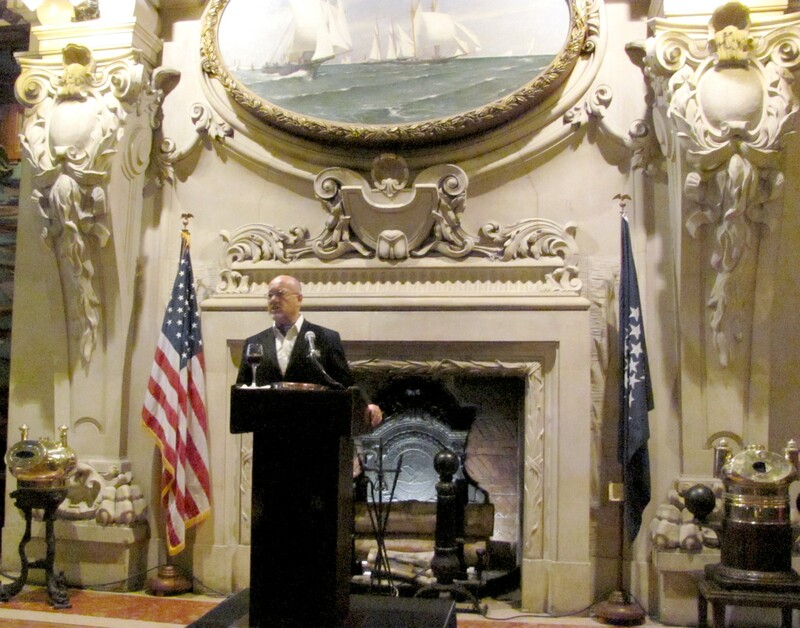 Mr. De Savary, who first came to Newport as the British “Victory” Team challenge to the America’s Cup in 1983, has owned several Newport’s mansions, including Vernon Court, Ivy Tower, Oakwood and the Frederick Law Olmstead summer residence, Wildacre. Overlooking the historic Trinity Church (1725), Vanderbilt Hall has magnificent architecture in the Beaux Arts Style, and a fascinating story behind it. Alfred Gwynne Vanderbilt commissioned Vanderbilt Hall for his mistress, Agnes O’Brien Ruiz, the wife of the Cuban attache. After she died, Vanderbilt donated the house to the people of Newport. Only a few years later, Alfred perished aboard the Luistania, a hero who saved others on that doomed ship. His son, William Henry III went on to become Governor of Rhode Island. When Vanderbilt Hall came on the market in October, de Savary seized the opportunity to restore it to grandeur and reopen it as a mansion “guest house” in the grand tradition of Newport’s “cottages.” He did more: he filled it with a collection of American Illustration Art valued in the millions of dollars. Just 33 “keys” – almost all of them suites – make for an exceptionally personal experience, as if you were a guest invited for the weekend. Ranging from the 400 sq. ft. Chihuahua Suite to the 1,000 sq. ft. Vanderbilt Suite, all have every manner of creature comfort – from sumptuous Italian linens with cashmere throws, marble bathrooms, to in-room entertainment and kitchenettes. Guests and members of the private members club have access to the spa, the indoor and outdoor pools, gym, the use of a 60-foot motorized yacht, and “The Crow’s Nest,” a rooftop lounge with an unparalleled view of Newport and the harbor, where cocktails are served nightly, followed by a screening of a black-and-white film. Play snooker (billiards). Guests also have access to the amenities of De Savary’s Carnegie Abbey for golf. Monty’s Bar and dining Room (named for Mr. De Savary’s Chichuahua, Monty, who you might see around)is a “gastro-pub featuring menus of local seasonal dishes, seafood and eccentric British favorites. The piano and open log-fire enhance the experience. Outdoor dining is featured in The Conservatory and The Garden. The setting of the mansion makes it ideal for special functions and private parties, from weddings to board meetings. Alfred’s Billiards Room accommodates 14 for private dining or meetings; for larger events, the Victory Room accommodates up to 40 guests for dinner or 60 for conferences. A Wedding Planner is available to assist. A private car is available for transportation from the airport or around town. Nearby, there is tennis at the Tennis Hall of Fame, polo, golf and sailing, and restaurants, the waterfront, museums are walking distance from Vanderbilt Hall. Mr. De Savary has made his mark with renowned hotels and clubs – some 30 projects to date – including the St. James Clubs worldwide (members have access to the Vanderbilt Hall’s amenities), Cary Arms (a boutique inn and pub on the beach in Devon, England, http://www.caryarms.co.uk); The Carnegie Club at Skibo Castle in Scotland; Bovey Castle in Dartmoor National Park; Stapleford Park in England; the Abaco Club in the Bahamas; Carnegie Abbey, Rhode Island; Cherokee Plantation in South Carolina as well as Port Louis (www.portlouisgrenada.com) and Mount Cinnamon in Grenada in the West Indies http://www.mountcinnamongrenada.com). Vanderbilt Hall, 41 Mary Street, Newport, RI 02804, 401-846-6200, 888-826-4255. http://www.vanderbilthall.com. There was genuine enthusiasm – even hunger – to travel on display at the recent New York Times Travel Show, at the Javits Center. These were not mere shoppers or even armchair travelers, soaking up the music and the mood created by a couple of hundred places. These were buyers, who were sitting down with travel vendors and plotting out their course. The annual travel show is always a superb opportunity to learn about new destinations, new ways of traveling, and pick up pointers from travel experts. There is pent-up demand, that is true, but it is hardly a “devil may care” attitude. Travelers are looking for value, if not outright discounts. Biggest bargains: according to Travel Guru Arthur Frommer include Las Vegas, probably the greatest bargain on the face of the planet today, especially at the newly opened and lavish Center City owned by MGMMirage (www.MGMMirage.com); China; Central America, particularly Panama where there is the biggest building boom of condos aimed at US retirees; and even though cruises are seeing a resurgence of bookings, growing demand outside North America, and cruiselines hope to firm up their fares, the sheer volume and array means that there still will be bargains to be had. Under-the-radar: Travel Guru Too Pauline Frommer, an advocate like her father, of a pure style of travel where you actually meet people and become immersed in culture, recommends cooking schools. The most famous are in France and Italy but these are expensive; she recommends Mexico cooking schools, at less than half the price, and has the pictures to show how fascinating a region this is placed in. Italy is also extremely popular but by going south, toward Naples, you can find rates about 40 percent cheaper than northern Italy. We uncovered our own jewel: Peru, so famous for Machu Piccu in the south, is on a quest to bring heritage tourists north, to Chiclayo, and the Tomb of the Lord of Sipan, the grandest in the Americas (akin to King Tut’s tomb), rather than south to the iconic Machu Piccu. Peru’s tourism office actually brought an entire exhibit from the Museum of the Regal Tombs of Sipan – utterly stunning and breathtaking – to show off some of what you can see, which includes ongoing excavations. 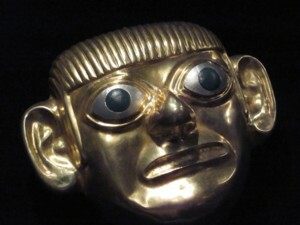 (www.peru.info). Can’t wait: Speaking of heritage, at the Visit England booth (which just opened offices in New York), I learned about “Explore England’s Heritage” programs in Southwest England (www.visitsouthwestengland.com/USA)., and can’t wait to go myself. The countryside that produced Jane Austen, Agatha Christie and King Arthur, where you can explore their homes, plus two national parks and four World Heritage sites including Stonehenge and Bath. What is more, you can bike or hike a 600-mile long coastal path (sustrains.org.uk)!! What is more, you can actually rent a historic home for your stay through the National Trust – amazingly affordable, and the most unique experience (nationaltrust.co.uk). Cruising – in all its incarnations – is very much on view – from the biggest ships, to more intimate. The sheer preponderance means there is great value, but also a full spectrum of experiences and budgets. CruiseWest, iconic in the Alaska cruising market, is taking its small-ship exploration concept global – 24 discrete itineraries of 10 to 14 days each, that stretch around the world on a single 120-passenger ship, the Spirit of Oceanus. You can take one segment, linked segments, or multiple segments, joining the ship at different ports around the world. At least one passenger, though, is going the distance – 120 days of cruising. If you actually circumnavigated the world, it would take 330 days. This is the very definition of “intimate” cruising that doesn’t involve your own yacht. Advantages include the time you save not having to tender – just pull up to the dock – or queue up or line up to get on or of the ship. The focus is on the destination itself, rather than a floating resort (cruisewest.com, 800-829-1142). River cruising is one of the loveliest ways to experience a destination –floating from city to city – typically the oldest and most important cities of a country – no need to pack/unpack, often with the ability to take bicycles from the barge or ship. Europe (Avalon Waterways, Uniworld Boutique River Cruise, Tauck), the Nile, and China afford some of the most amazing river cruising. In China, Century Cruises, its own company since 2003, offers some of the most deluxe riverboats on the Yangtze. These were the ships that were leased by Viking River Cruises. The average cost about $500 pp for a five-day cruise (www.centuryrivercruises.com). Indeed, with China being hailed as the biggest value in international destinations coupled with the popularity of cruising on the Yangtze, an indication of the demand for this year comes from Victoria Cruises which recently announced 24 sold out regular season sailings through June (VictoriaCruises.com, 800-348-8084). Don’t fret though: Ritz Tours has availability of many of these departures through its blocked allotment(RitzTours.com, 800-900-2446/ (626-289-7777). You won’t find bargains in South Africa this summer, but there are fabulous bargains to be had as the travel industry works its way out of a difficult 2009. Next big destination: Cuba, which is not open to Americans yet though Germans and others have been going. But there is pressure to finally lift the ban and pent-up demand for Americans to get there. Stuart Emmrich, New York Times travel editor, expects cruise ships to pave the way, using Cuba as a port of call. Sol Melia Cuba Hotels was on hand to entice travelers to their resorts (www.solmeliacuba.com). It is the recognition that overcoming the “tumultuous” and the “travail”, the adversity, the serendipitous and unexpected is part of the experience, and often the most memorable part (in my case, it was getting bumped from an Air India flight on the way home form China in Bombay with no apparent way to get home). Also check out opportunities to join walking tours, preferably with a volunteer guide. It is another way to get an insiders view of a culture. I did this in Tokyo, where the Tokyo tourist office offers guided tours led by volunteers of important tourist areas. 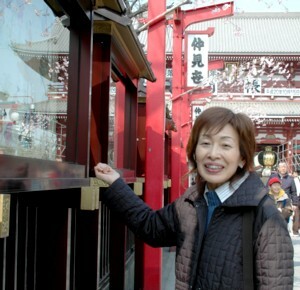 There are 10 different walking-tour routes, each two to three hours, such as the Asakusa Route, the “Route to Savor the Atmosphere of Edo”, Japanese Architecture and tour of the Diet Building. They depart at 12:50 p.m. from the Tokyo Tourist Information Center head office at the Tokyo Metropolitan Government Buildings, in Shinjuku. You cover the guide’s out-of-pocket expense (transportation and lunch). You need to register about three days in advance (www.tourism.metro.tokyo.jp). Enrich the travel experience in Tokyo : take a walking tour with a local guide (c) 2010 Karen Rubin/news-photos-features.com. We also found Geckos Adventures (www.geckosadventures.com) which offers a 10-day camping experience in Botswana and Zimbabwe (Victoria Falls) for $1250. The Australian-based company is represented in the U.S. by Adventure Center (www.adventurecenter.com).